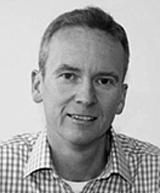 Mark Velders is a Director of Planning4Food formally a Senior Consultant at Arup with more than 15 years’ experience in sustainable development. Mark mastered in Agricultural and Environmental Engineering in Wageningen and Change Management in Utrecht. He is committed to good project management and continues to implement a variety of initiatives that strive to make a difference to society. “How can we feed ourselves sustainably in a low carbon economy?” Michael’s pet and particular interest lies in sustainable food production. Future food shortages and food affordability issues are expected to be far more widespread and increasingly difficult to remedy. He currently explores and implements innovative concepts securing a sustainable future food system on projects in the Americas, Europe, China, Australia and the Gulf region, and is a lecturer on this topic in many forums and universities.